My morning workout was complete, but today I fancied more. And so I ran out from the gym, up to Holyrood Park, the dark bulk of Salisbury Crags and Arthur's Seat looming above. My feet hit the steep path up the face of the hill and I slowed to walking pace. Approaching the top I broached the shadow, summit rocks reddened by a rising sun. 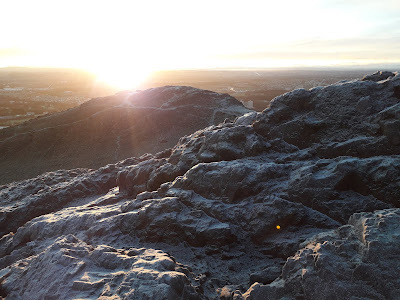 It was cold, a keen wind cutting through my shirt - is there ever *not* a keen wind on the summit of Arthur's Seat? - and a surprisingly large number of people dotted about the hill already, maybe a dozen. Last week at sunrise I'd come across a score of Chinese tourists at the very top. Perhaps they'd been attracted by the lunar eclipse an hour earlier and decided to stay till daylight to see their way down. What a place to be at 8:20 on a clear frosty morning! I ran down senses humming with focus, an intense balance of gravity, rock, frost and running shoe. My heart bursting with thankfulness. 45 minutes later I was sitting at my office desk. 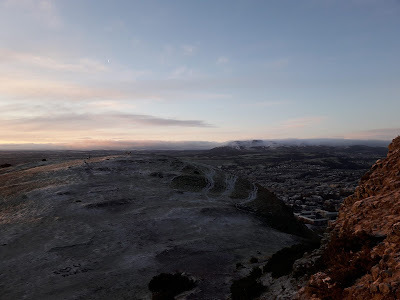 I'd worked on my book and had a run up Arthur's Seat for dawn. Whatever else happened in the next few hours, the day was already won. I've never seen a New Year's Day with so little snow. 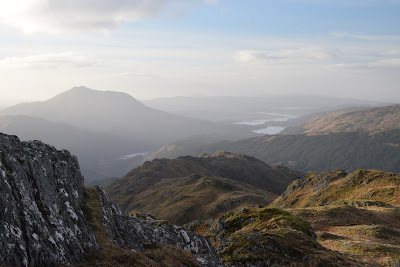 We climbed a Corbett in Ardgour, struggling out of the dark forestry into a world of light. After the heavy rain of Hogmanay, the golden sunshine on Carn na Nathrach was a welcome tonic. It was not the winter wonderland we might have expected for the time of year. 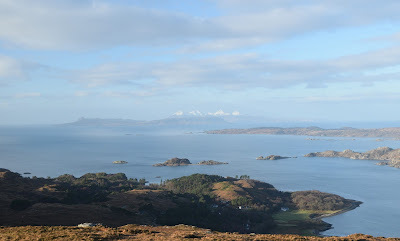 Compare this to a heavenly Rois Bheinn at the start of 2018, or the bitter cold of Creach Bheinn on the first day of 2016. Perhaps this year the snows will come late? 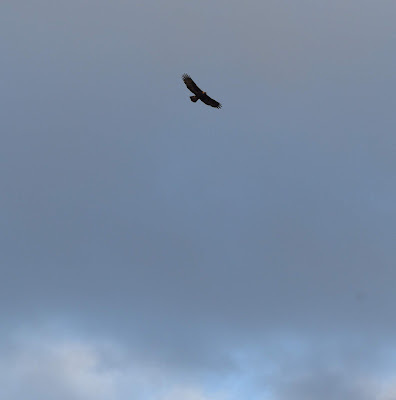 It has been so long since I've seen an eagle from a hill! To see two, an adult and a juvenile, and to see them so close - the picture above was taken with a 50mm lens - was a moment of magic. May your 2019 be full of them.